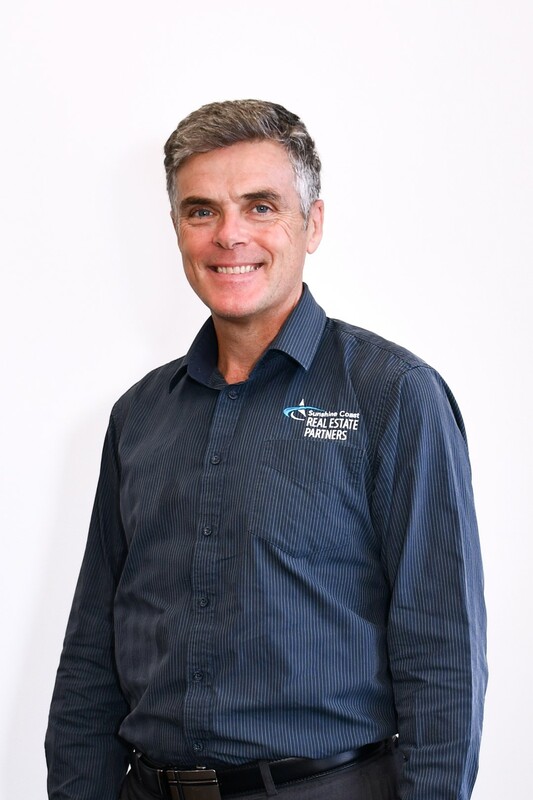 Originally from Yorkshire in the UK James relocated to the Sunshine Coast in 1995 with his Australian born wife. Settling on the Sunshine Coast was an easy decision given the opportunities that come from living in a growth region, not to mention the Sunshine and of course the first class beaches. James Graduated from Leeds University in 1983 as a Quantity Surveyor so property both residential and commercial has always being in his blood. James decided to make the transition into selling property just over 10 years ago seeing an opportunity emerging on the coast as a positive growth region. Delivering results with genuine integrity is a big motivational force, most of the time the actual property is almost secondary, propelling people into the next phase of their lives is where the real buzz is for James. Family focus is a big thing for James & wife Julie. They have two boys living in Europe at present and a spritely young lady still living at home. Being married for 28 years is a good foundation for dealing with relationships of all kinds and James tends to live by the motto of treating others in the same way you would like to be treated. In his spare time he leans towards sporting activities like Kayaking, bush walking, mountain bike riding and general "keep fit" activities at the gym. Both sons are very musically inclined so not to be out done James has taken to learning to play the guitar. One day he hopes to be a rock Star! James does not claim to be better than every other agent but he does claim to do his best for those he is fortunate enough meet. We found James Reynolds to be most truthful, honest and upfront in all of our dealings with him. He acted at all times above what you would expect of an agent. I feel he was a good negotiator for the completion of the sale. We were very impressed with the performance of James Reynolds from Real Way Real Estate Consultants at Currimundi in relation to the sale of our property in Caloundra. Right from Day 1, James exhibited a high level of professionalism in everything that he did and a high level of commitment to achieve what we wanted from the sale. He is an excellent communicator, stayed in close contact with us, was very accessible to us at all times, dealt with every eventuality and problem in an effective manner and negotiated well with potential buyers. He achieved a great sale result for us in a short timeframe (beyond our expectations). We thought that James was an outstanding Agent and would highly recommend him to others wishing to sell their homes. Both mum and I were extremely pleased with James and the office in the way the sale was handled. I, in particular was pleased that James acted entirely on behalf of mum as a seller and worked hard to get the very best result for her. Our sincere thanks and appreciation for all his hard work and the friendly and understanding manner in which he dealt with my mother. I recently sold my home with James Reynolds of RealWay Caloundra. He exceeded my expectations in both price and advertising in all facets of the sale. More importantly he understood my needs regarding the sale and marketing of the property and was confident and reassuring the whole way through giving expert advice when decisions needed to be made. The rest of the sales team was also very helpful. I would not hesitate to use the services of James or RealWay Caloundra again.